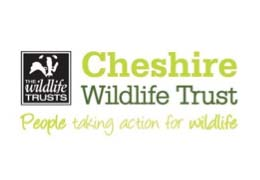 The aim of this local community project, working with Cheshire Wildlife Trust and Friends of Owley Wood, was to improve the access and interpretation within Owley Wood, encourage woodland regeneration and provide training to up-skill the group. Major footpath work has significantly improved access to the wood whilst boundary repairs have made the site more secure and less prone to misuse. Throughout the project volunteers have stepped in to give a vital helping hand and develop their skills in path, boardwalk, step and bridge maintenance. Interpretation boards have been put in place to encourage appreciation of the natural heritage of the site and coppicing has helped to patch up areas of the woodland that had become trampled, making the area a much more enjoyable place to visit. Find Owley wood on our map.